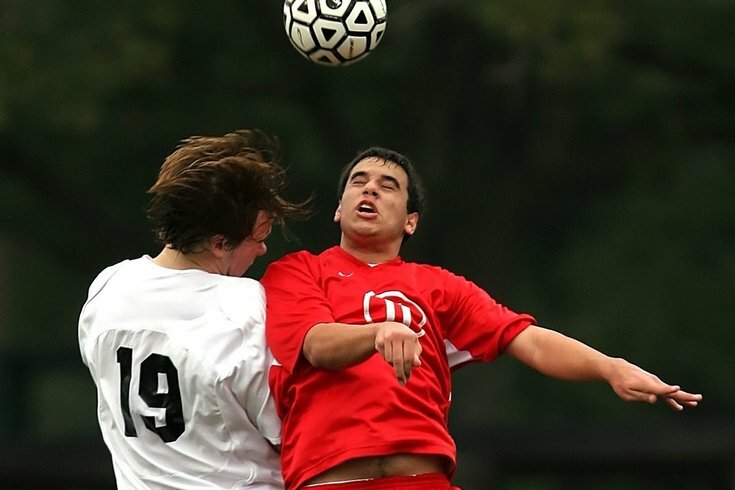 A new study from University of Delaware researchers indicate soccer players who repeatedly head the ball may be more likely to experience balance problems. It’s no secret American football has a mental health problem. Soccer’s relationship with mental health and safety is less-publicized, but a new study from University of Delaware researchers adds to the evidence suggesting there’s plenty for the sport to look into. The study’s findings, released July 13, indicate soccer players who repeatedly head the ball may be more likely to experience balance problems. In the study, 20 recreational and club soccer players from Wilmington and Newark. Participants described how frequently they headed the ball during games and practices. Then, participants were asked to walk on a foam pad with their eyes closed. Two tests were administered: one with electrodes placed behind their ears to make the participants feel like they were falling sideways, and one without the simulation. Players who reported heading the ball more were more affected by the falling sensation than those who reported fewer headers. Study author Jaclyn B. Caccese admitted not every soccer player has effects from repetitive head balls, and more research is needed to learn the full extent of headers’ effects on players, especially as they grow older. In November 2016, a study led by Dr. Helen Ling of the University College London's Institute of Neurology found evidence of CTE in four former pro soccer players. It was the first time CTE had been confirmed in a group of retired soccer players. This latest study comes on the heels of France’s 2018 World Cup victory, and with the 2026 World Cup set to come to the United States. Philadelphia is poised to be a host city for the tournament. But the future of soccer in the area – and in the United States writ large – is shaky, at best. Bill Salvatore, of the city’s Department of Parks and Recreation, told PhillyVoice in June that Philadelphia youth soccer participation has seen precipitous drops in recent years. “What we do know is that in the past 10, 12 years, soccer numbers are down tremendously,” Salvatore said. Over the past three years, the number of 6-to-12-year-olds playing soccer in the United States has dropped nearly 14 percent, according to a study by the Sports & Fitness Industry Association.